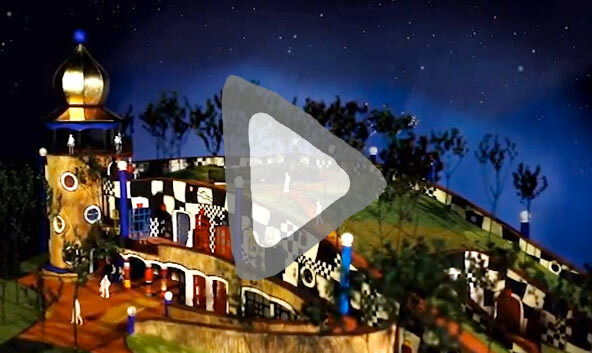 The "Hundertwasser Spring into Racing" is on 10 September! Having established a reputation for novel fundraisers the next HAC horse off the starting line is … a horse. The “Hundertwasser Spring into Racing – Art in Action” meet is coming up on September 10 to fundraise for the HAC. Sir Stephen Tindall Steps Up, helping us over the $11 million mark! Another leading NZ businessperson has come forward to pledge a valuable contribution to The Hundertwasser Art Centre with Wairau Maori Art Gallery project. Let’s hit the $ 11 million mark! We are on the brink of cracking $11million. We are so close, help make it happen! HAC PROJECT GETS LOTTERY WIN! The Lotteries Environment and Heritage Fund today announced it has granted $500,000 to the HUNDERTWASSER ART CENTRE with Wairau Mãori Art Gallery, a further welcome boost to the project bringing total funds raised to two thirds of the total needed. Whangarei’s Hundertwasser Month has made a terrific start with Michael Hill Jeweller’s iconic founder pledging a generous amount of money toward the Hundertwasser Art Centre with Wairau Maori Art Gallery (HAC). The Hundertwasser Awareness Month was kick-started on the 1st of June with the well visited opening of the art exhibition “For Love of Trees”. This is the very first phase of the full Hundertwasser Art Centre with Wairau Maori Art Gallery build and it’s so exciting to be finally underway. June is Hundertwasser Awareness Month! Help us celebrate this wonderful artist, and his incredible gift to our city with the inaugural Hundertwasser Awareness Month!